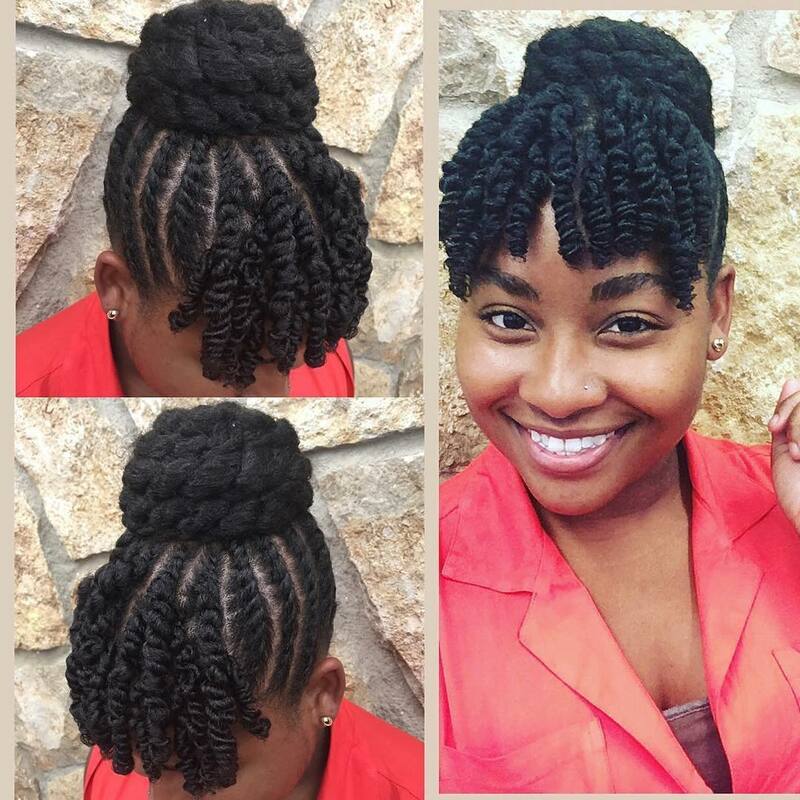 Who says protective styling has to be boring? 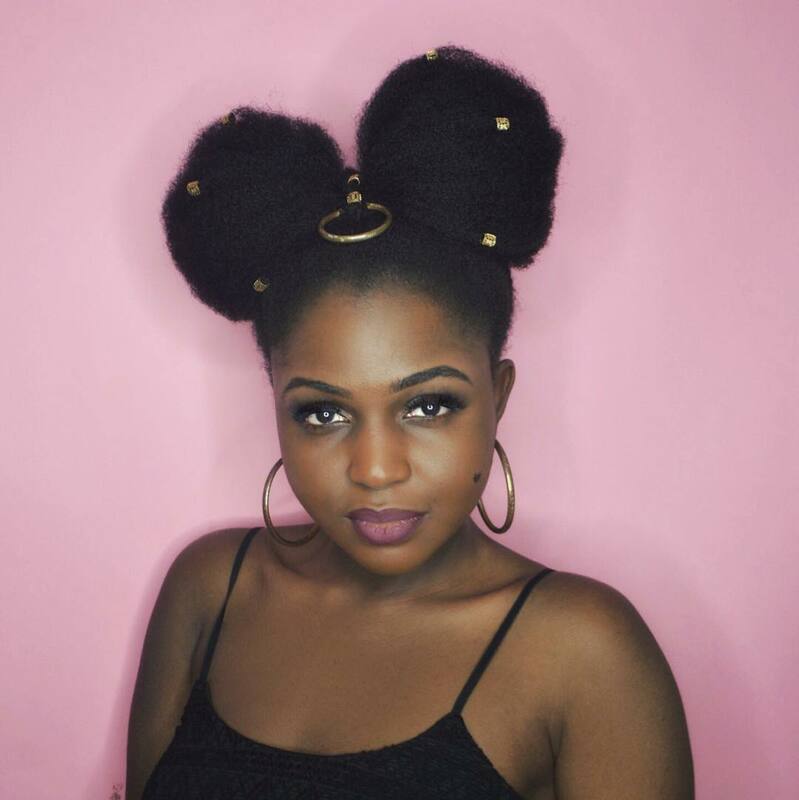 Here are 15 photos of women with 4b to 4c coily hair types that will prove you wrong! 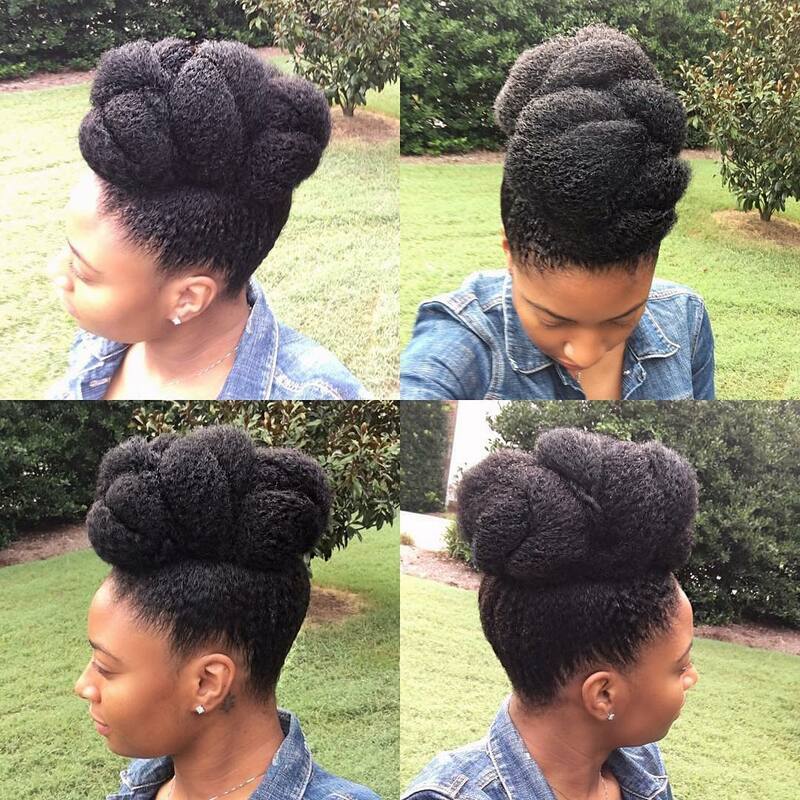 I just love the fluffiness and fullness of this double crown braid. For extra fullness after you are down braiding your hair pull the the braid and fluff to your liking. 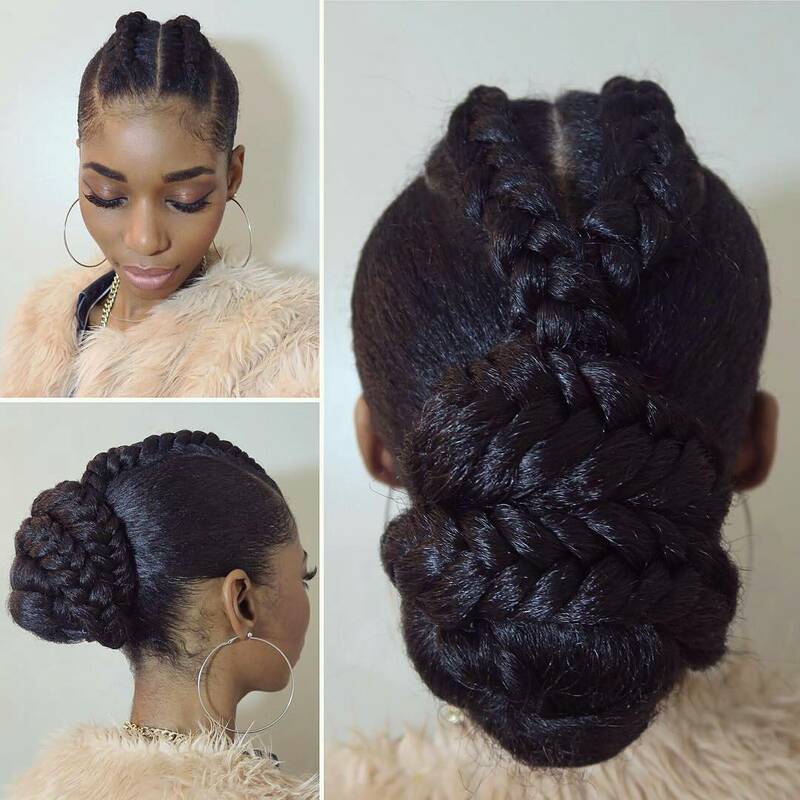 This french braid updo is so elegant and be done on a wide range of hair lengths. 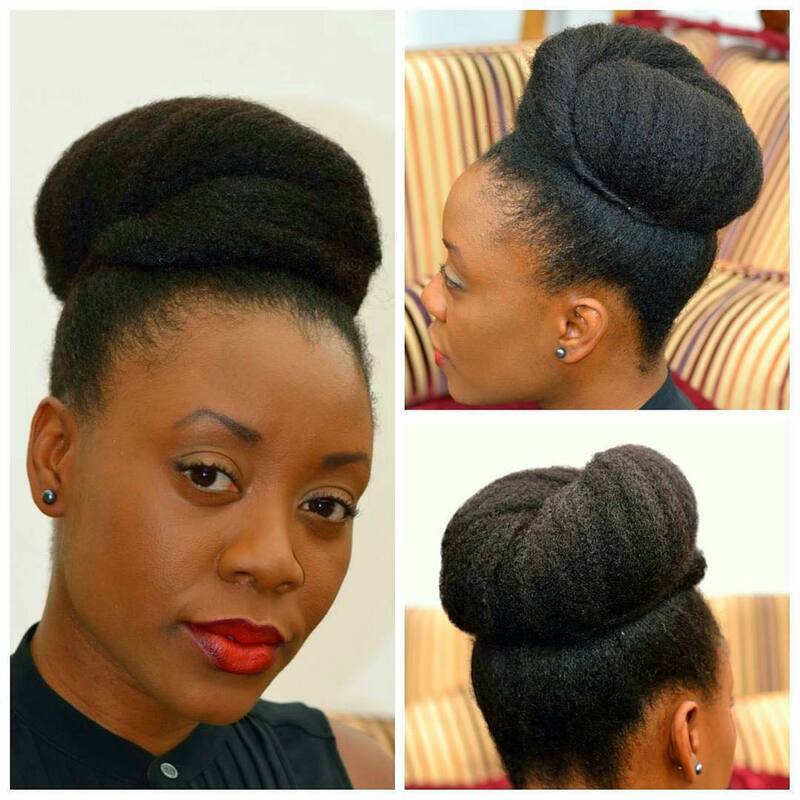 Before attempting a style like this, stretch your hair first. 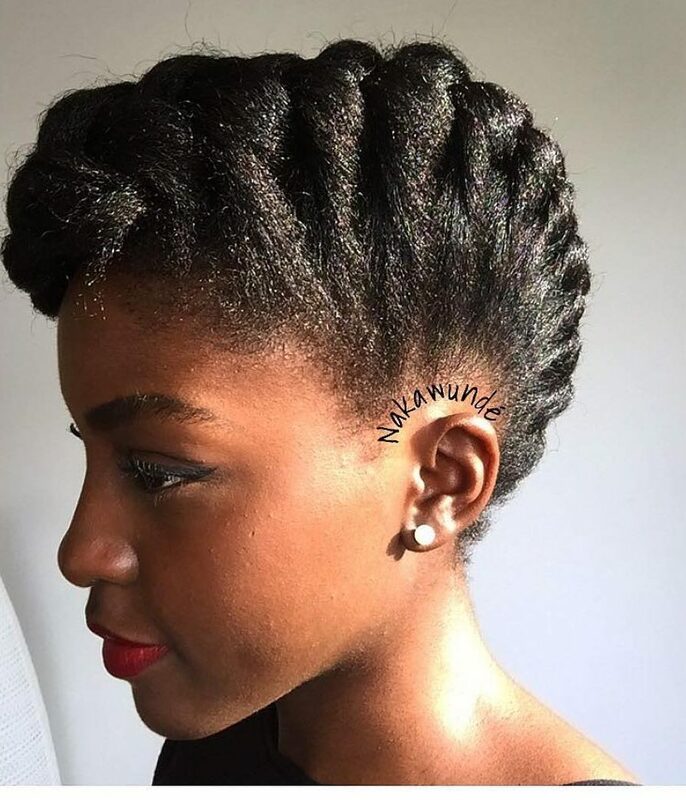 This style is great for your everyday or it can even be dressed up to be fancy by adding some cool hair accessories. 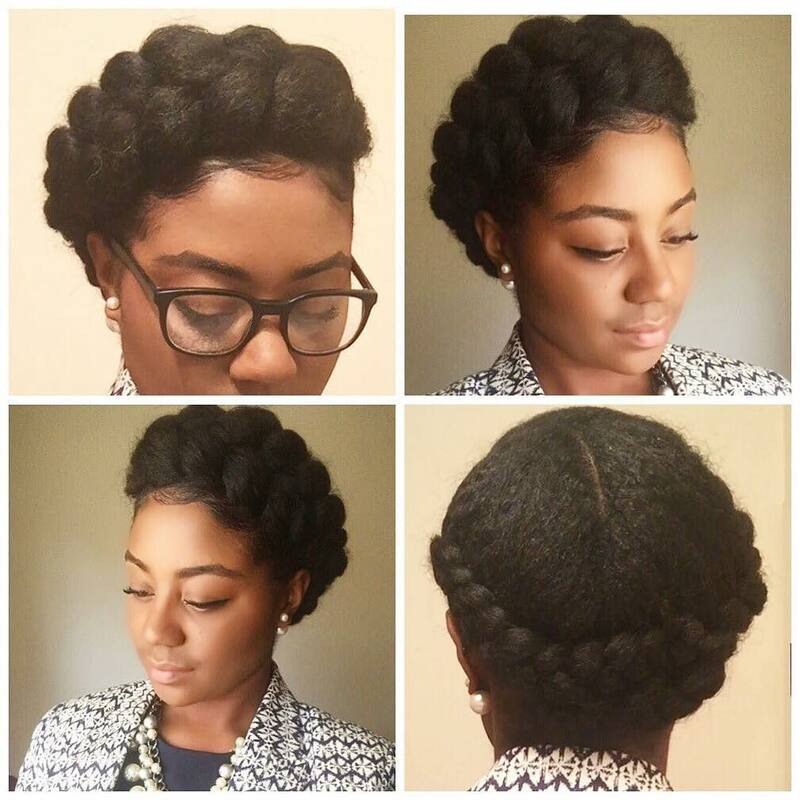 Create this look by loosely tucking and rolling and pinning into place with bobby pins. 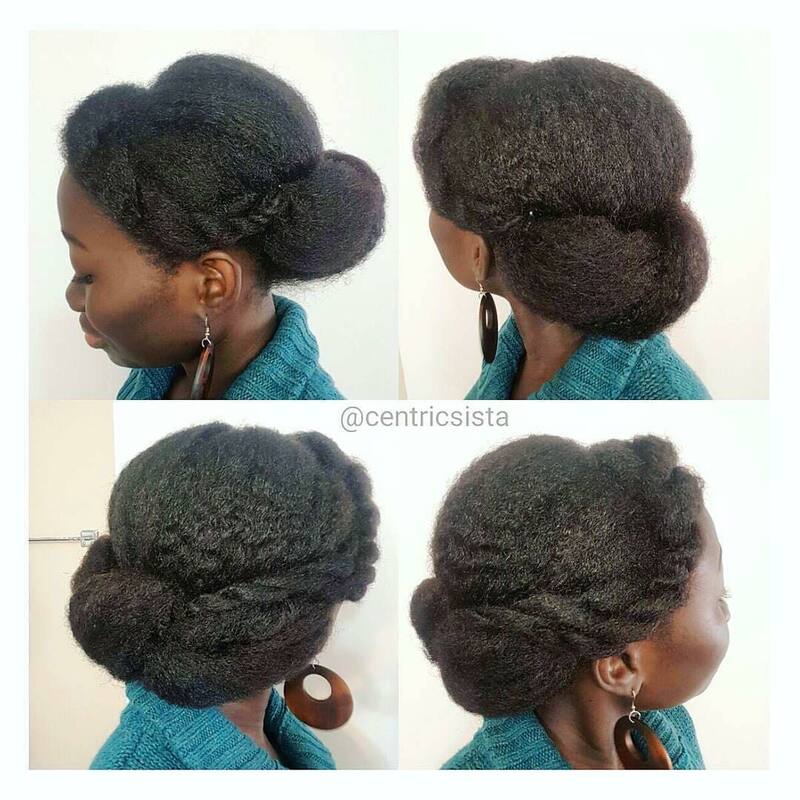 This high bun chunky updo is glorious. 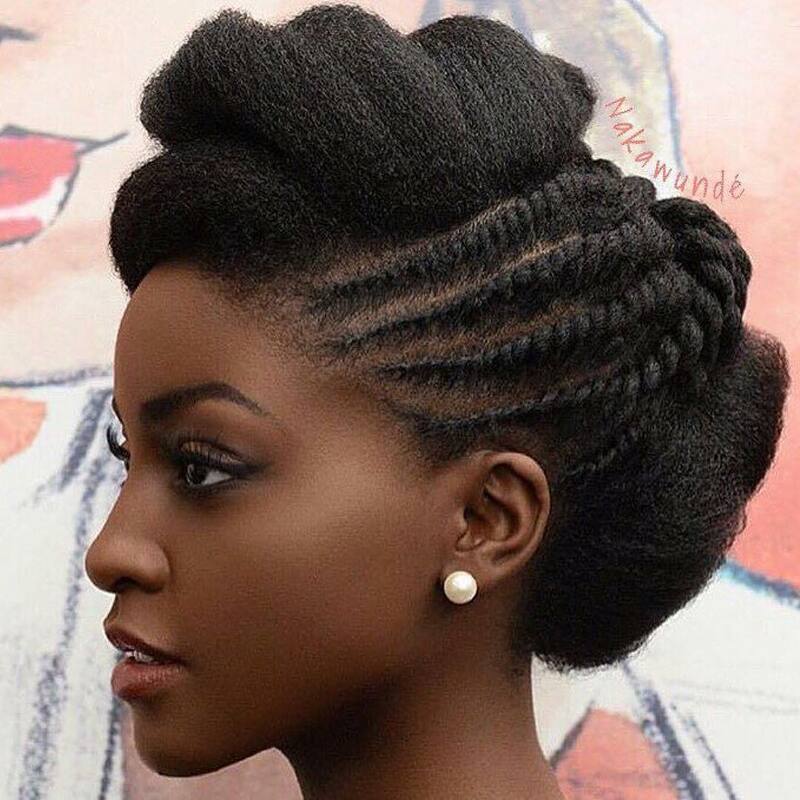 This full on protective style is so beautiful. Tip: for fuller looking twists that stay in place like the ones in her bang area, twist tightly at the root, then loosely and then tightly at the ends.